The open enrollment period for 2017 Connecticut health insurance is only available during a small window of time each year starting in November. Connecticut has what some believe to be the most successful state-run health insurance exchanges in the country, with expanded Medicaid under the Affordable Care Act and many other options for anyone seeking to buy health insurance. However, Connecticut residents are experiencing the same health insurance issues as many others nationwide as they each try to get health insurance this year. Individual health insurance rates for individual plans in Connecticut increased by an average of more than 24 percent last year, on par with national averages. At this same time, many insurance companies have all but abandoned the Obamacare system in Connecticut. HealthyCT and UnitedHealthcare both stopped taking on Connecticut health insurance customers recently. 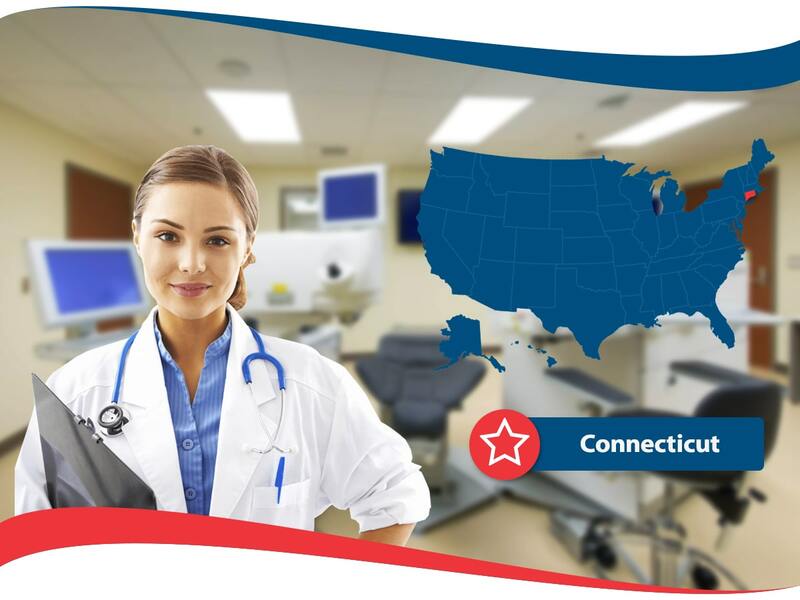 American Insurance Is Health Insurance for Connecticut! Fortunately, many Connecticut residents are now finding the health insurance they need by working with American Insurance to lower the uninsured rate Connecticut is becoming known for possessing. Recent activity by Congress and political parties is adding confusion into the mix so having a trusted company like American Insurance providing free consultations from properly trained insurance experts on Health care coverage in Connecticut has been particularly helpful. Public health remains a primary focus for the state of Connecticut, placing 5th on the 2015 Scorecard of State Health System Performance. Connecticut also ranked among the top 25% in 33 distinct categories, and in the top 10 for all health indicators related to access, including: dental visits, routine doctor visits and so on. The alternative ratings organization America’s Health Rankings ranked Connecticut 6th overall, and in the top 25% for all measures except for: public health funding, excessive drinking and disparity in health status. While the state does take these health matters seriously as well, it appears that no state can rank first in everything. Recently the Robert Wood Johnson Foundation and the Population Health Institute at the University of Wisconsin published their own county-by-county health rankings. Only Fairfield County was above the national uninsured rate. Connecticut chose a state-based exchange now known as Access Health CT, and also expanded Medicaid substantially under the Affordable Care Act. Now, since implementing the ACA, nine out of ten Connecticut residents have healthcare coverage. Access Health CT has also started to reduce the cost of health insurance, stating in 2014 that the uninsured rate has been cut in half since 2013, falling from 8 percent to 4 percent. According to Gallup polling data the uninsured rate in Connecticut was 12.5 percent in 2013 but fell to 5 percent in the first half of 2015. US Census data confirmed these shifts in the Connecticut uninsured health coverage rate at 6.9 percent in 2015 after previously being as high as 9.4 percent in 2013! More than half of Connecticut’s insurance exchange carriers and insurance companies are leaving the state, with two primary carrier options for 2017 open enrollment: Anthem Insurance or ConnectiCare. Each has proposed rate increases of 26.8 percent and 14.3 percent respectively. The Connecticut State ACA created CO-OP HealthyCT has outlasted many, but it too shut down at the end of 2016. UnitedHealthcare also ceased to offer exchange-based plans in Connecticut anymore. That is making room for new insurance experts and providers like American Insurance to step in and serve the needs of Connecticut residents seeking health insurance on State Run Exchanges or elsewhere. The Affordable Care Act (Obamacare) was unanimously supported by Connecticut’s delegation to the U.S. Congress. Senator Christopher Dodd, Democrat, and Joseph Lieberman, Independent, both voted to pass the Affordable Care Act in 2010, along with all five of Connecticut’s Congressional Representatives. Richard Blumenthal later replaced Dodd and Chris Murphy replaced Lieberman a few years later, but both Blumenthal and Murphy have continued to support the ACA. Murphy represented Connecticut’s 5th District. When he became a Senator his chair was filled by Elizabeth Esty, Democrat, who supports the ACA. Esty and the other four representatives who originally voted in support of the ACA were all re-elected in 2014. The Affordable Care Act also gets continuous support at the state level from leaders who understand its value to Connecticut Health Insurance and Working Families. Governor Daniel Malloy supports the ACA, as do State lawmakers who recently passed legislation authorizing a state-run insurance marketplace. The state marketplace was created and named Access Health CT in December 2012. Access Health CT was one of the country’s most successful marketplaces, with few of the technical problems that plagued other exchanges and robust enrollment right away. Access Health CT’s CEO, Kevin Counihan, was later named CEO of Healthcare.gov in August 2014. In 2010, Connecticut became the first state to adopt Medicaid expansion, and the state later expanded eligibility criteria for the program again at the beginning of 2014. As of August 2015, there were 771,512 people enrolled in Connecticut Medicaid. Before the ACA became law, all health insurance coverage was underwritten. That caused people with pre-existing conditions to be unable to purchase health insurance, or to be hit with very high premiums that were often significantly higher than standard rates. The Connecticut Health Reinsurance Association (HRA) was created in 1976 to afford residents the opportunity to purchase individual health insurance regardless of their own past medical history. Only Minnesota has a high-risk pool for health insurance that is as venerable as the one Connecticut enacted! As of January 2014, all new major medical policies in the individual market are guaranteed thanks to the ACA. Since the high-risk pool was no longer necessary, Connecticut’s HRA board voted to discontinue new member enrollment at the end of 2013, but existing members still retain their coverage while each transitions to a plan using the newer health insurance exchange. American Insurance is now ready and able to assist you with that process or to help you navigate all of the other health insurance needs in Connecticut.